Here it is: the classic box of crayons for every use. The box is small enough to fit in a book bag or knapsack, but large enough to hold a wide variety of colors. From carnation pink to cerulean, indigo to scarlet, you can mix and match to create colorful drawings and bold signs. It's a must-have for every kid! 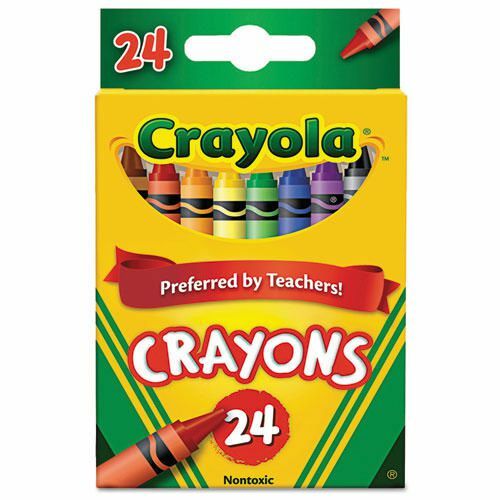 Contains 24 non-toxic crayons. Bright and vivid colors.